Run with ultimate lightness and intelligent cushioning. 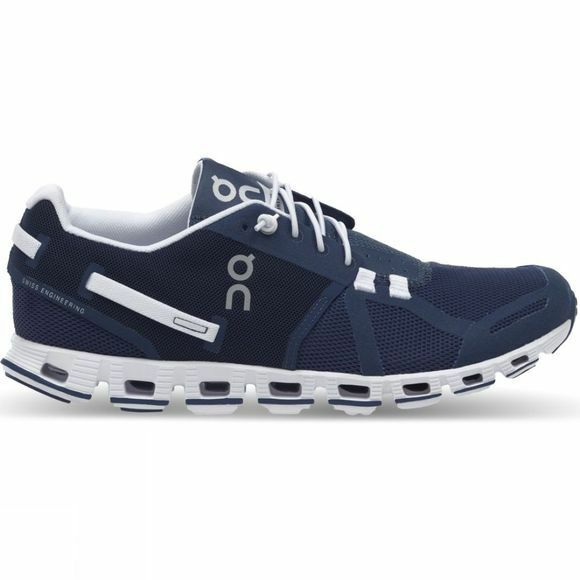 The new Cloud boasts Zero-Gravity foam and On's patented CloudTec technology, and is one of the lightest running shoes in the world with outstanding cushioning and impact protection. Feel the combination of a soft landing and an explosive take-off for effortless running performance. On Speedboard consists of four layers which synergise to unleashes the energy of your feet and to promote a more efficient running gait to maximize performance. The CloudTec system features series of clever rubber pieces called "Clouds" cushion your landing and then disappear for a completely natural run and an explosive take off.